Everyone’s probably wondering why I haven’t updated Polterguys in weeks. Well, that’s because I started working at DreamWorks TV Animation in Glendale last month so I’ve been a little distracted! AHHHHH seriously, you guys, I’m super excited to be here working with an awesome team and on an actual show. It was a lot to take in this month and I can still hardly believe it’s for real. 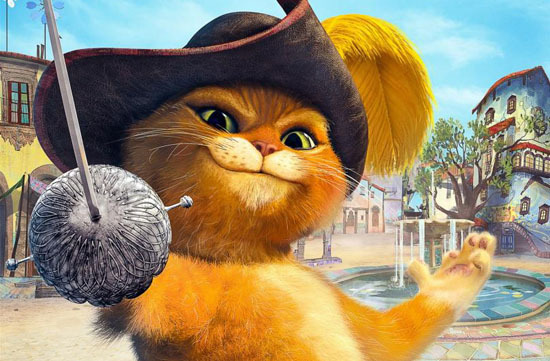 Towards the end of December, one of my classmates from Concept Design Academy recommended me for a storyboard revisionist position on the show she was working on which is Puss in Boots on Netflix. They needed someone to start right away so the last two weeks of 2016 was a blur of training my replacement at Soapbox, preparing for my holiday trip and getting ready to join the PIB team immediately in January. A few moments from that crazy period stood out to me though. Calling my mom in the parking lot and telling her I got the job which made her cry (and made me cry, too.) And surprising my family with the news over dinner in the Bay Area. I honestly didn’t think it would happen this quickly since I only seriously started considering storyboarding as a career option in 2014. I’m extremely grateful for everyone who’s helped me find my way here in LA and I just know I couldn’t have made it this far without such good and wonderful people looking out for me. I’ve been excited, anxious and I’ve just been learning as much as I can this past month so thank you so much for your patience with updates, too. I promise we’ll be back in the swing of things again soon.